I have speculated that AIDS related dementia, fairly often associated with some kind of aggression, is part of the reproductive evolutionary strategy of HIV. Just saw Dallas Buyers Club last night. It reminded me of when I was working with dying AIDS patients who gave me names of men who had AIDS that were out deliberately trying to infect as many others as possible. One of those patients went through a phase of praying for my early death and little tricks to try to infect me. There are other diseases that affect behavior such as toxoplasmosis. 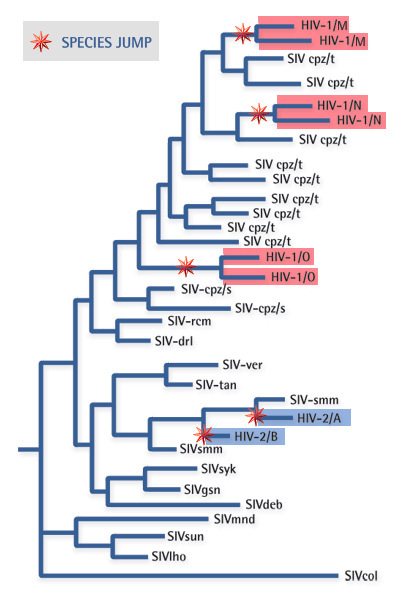 HIV hits a lot of gene expressions for neurotransmitters – very early – long before AIDS. Cannabinoids are downregulated early through glutamate/GAD downregulation, which is why I think HIV+ people should be on Marinol (Dronabinol, tetrahydrocannabinol) or cannabidiol or something like Sativex (GW Pharma). 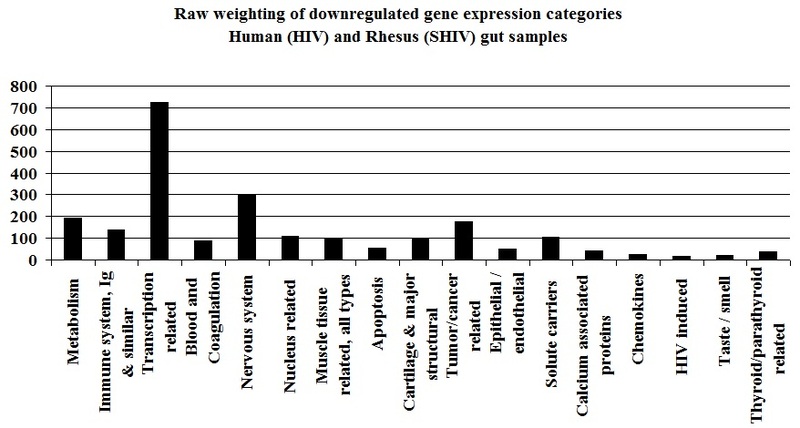 HIV also has downregulation effect on serotonin. I suspect HIV/AIDS patients would benefit from SSRI/SNRI treatment early. Some of the behavioral issues physicians see in early stage HIV patients on HAART are probably serotonin downregulation related. Marinol, Sativex, or medical marijuana preparation. I do not recommend smoking marijuana for HIV/AIDS. The irritation of the lungs only worsens immune compromise. An SSRI/SNRI drug. (e.g. Prozac, etc.) The usual game of hopscotch trying to find one that the patient likes/tolerates well is required. I suspect early stage may be able to benefit from what would normally be considered subclinical doses for a while. Nortriptyline or Desipramine because these two drugs have been shown to block exit of cytochrome C from cells, which prevents cell death on Huntingtins. Huntingtins genes showed up downregulated, and these drugs may help with prevention/slowing of dementia. They are also pretty benign, unlikely to cause harm. Note that there are interactions between SNRI and tricyclic antidepressants. And I have no data on whether any of the SNRI’s blocks cytochrome C exit or not. So that would lean toward SSRI drugs over SNRI. Xyrem (Gamma hydroxybutyrate (GHB) ) GHB is available for prescription off-label. GHB’s a glutamate agonist and improves sleep. Glutamate receptors are downregulated. HIV/AIDS patients often have sleep problems. Baclofen (Gabapentin) might be a reasonable alternative to Xyrem. Technology park is advertising a new human antibody to treat AIDS. The claim is that this human can neutralize 98% of HIV isolates around the world. They are trying to drum up interest from pharma – or somebody. I am guessing that this offering is from Baltimore’s lab. (Antibody-based protection against HIV infection by vectored immunoprophylaxis.) but there could be plenty of others by now. Bottom line: This mAB should do a little worse than any single anti-viral drug. That is not to say it shouldn’t be available! It absolutely should, because it will be a late-term treatment for AIDS when a the HIV virus in a patient has escaped control by current anti-virals. But looking forward, what the developers of such therapies should be looking for is not a single magic bullet mAb. They should be looking for several mAbs that together neutralize all known isolates of HIV. They should be looking for a HAART made of mAbs. A HAART made of mABs (say 5-15 mABs to different epitopes) would be extremely valuable in the developed world because it would not have the unpleasant side-effects that make HIV/AIDS patients take vacations from their drugs. If we can get HIV patients to stay on their drugs, then those patients won’t spread HIV/AIDS. And if we have a mAb HAART used prophylactically by high-risk people, that will get us one step closer to eliminating HIV/AIDS. For patients, the superior way to deliver mAbs that neutralize HIV is by gene therapy because it lasts longer and is much cheaper. So, let’s analyze this single-mAb for HIV/AIDS. Business problem: This product needs a white-knight. I’ve interacted with the VC/Pharma funding system and it is very narrow. They want to field products that are used daily, and this does come close enough there. But, it’s not a pill, which is the holy-grail of pharma. Small molecules are way easier to make and deliver. Also, this product will interfere with existing pharma products that are very lucrative. HAART revenue is about the same as a mAb, but manufacturing and channel costs are much lower than for mAbs. Their product should work for a subset of HIV/AIDS patients for a while. But 2% isolate escape is actually pretty high. You see, HIV is a quasi-species. It mutates like crazy. 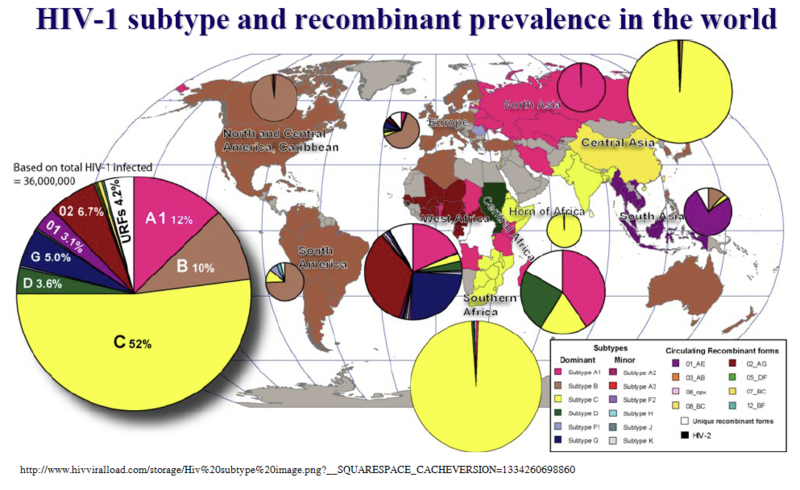 One of my first projects in grad school was to look at the range of mutations in HIV. I worked out the HIV mutation tree within a host, and the range of quasi-species of HIV is far greater than the range of quasi-species that transmit between hosts. Many, if not the majority of those mutants may be non-viable, particularly outside the host. But the infective power of large quantities in the bloodstream of what would be a non-transmissible variant external to the host well may be significant within that host. (Lost that cite at the moment, but it’s a Nature paper showing apparent transfer from T-cell to T-cell by membrane contact.) If 2% of the quasi-species variants escape control by this antibody intra-host, the virus will evolve around it. Period. 98% should guarantee escape from control. I would expect that the timeline plot of numbers of patients HIV escaping control by this mAb would resemble an F distribution. i.e. front-loaded with a long tail. I would guess (just a guesstimate now) that the center of that distribution would be around 1.5-2 years. I would not expect this mAb to do better than any single anti-viral that is normally effective against HIV. We know that HIV evolves around single drugs eventually, and that those drugs start with 100% coverage of all known isolates. That evolution problem is why we have HAART to treat HIV/AIDS now. We use multiple drugs, typically three or more different anti-virals so that to escape control, a virus will need 3 major mutations simultaneously. Since for all practical purposes, that does not happen, as long as HAART is maintained, it usually keept HIV/AIDS in check. Typically, when a patient has escape variants when on HAART, it means that they fudged on their drug regimen. They stopped taking one or two, or perhaps all of their drugs, and did so more than once. Why do patients do this? Because those anti-virals make a person feel lousy and look unattractive. For young men who have lived to be attractive, this is not easy. The discussion in the advertisement about 25 million AIDS orphans is misleading. Yes, there are millions of AIDS orphans that continue to destabilize third world nations. These orphans are putty in the hands of warlords. Yes, this is important. But this therapy requires clean, sterile needles. It requires a cold chain (refrigeration) to keep it potent. We can’t even vaccinate against measles in Africa effectively for those reasons. (Needles get re-used afterward by injecting drug users and spread hepatitis and HIV.) The combination of problems makes measles vaccine efficacy in most of Africa about 50%. So this therapy is not practical to deliver to the AIDS patients who matter most. Then the cost of manufacturing and delivering an injectable mAb medication such as this is high. As reference points, Humira (adalimumab) costs $831 per shot every 2 weeks – $21,606 per year. Enbrel (etanercept) costs $20,000 per year. And those are mAbs delivered to a large market. We can barely afford to try to deliver vaccines that cost less than a dollar a dose. Implying that this mAb could plausibly be paid for in those regions is for all practical purposes a lie. The cost is prohibitive. Completely prohibitive. That said, thg offering looks like a marketer wrote it up. The marketer is doing his or her best to rep the product, but does not have the in-depth understanding of it that the source lab has.